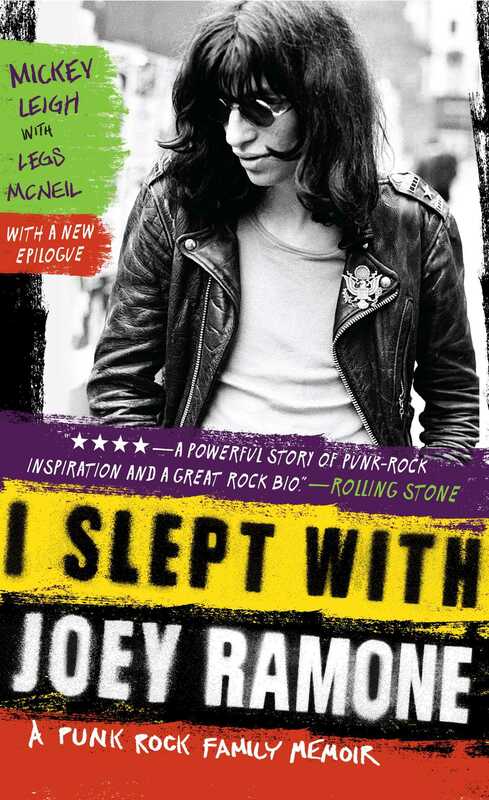 “A powerful story of punk-rock inspiration and a great rock bio” (Rolling Stone), now in paperback. When the Ramones recorded their debut album in 1976, it heralded the true birth of punk rock. Unforgettable front man Joey Ramone gave voice to the disaffected youth of the seventies and eighties, and the band influenced the counterculture for decades to come. With honesty, humor, and grace, Joey’s brother, Mickey Leigh, shares a fascinating, intimate look at the turbulent life of one of America’s greatest—and unlikeliest—music icons. While the music lives on for new generations to discover, I Slept with Joey Ramone is the enduring portrait of a man who struggled to find his voice and of the brother who loved him. Mickey Leigh, born Mitch Hyman, has been a major player in the rock n roll world since the late seventies. He was a major contributor to the music of The Ramones and has been in several bands, including The Rattlers, which included the (in)famous Lester Bangs. He currently lives in New York.